Adjectives are words that describe other words such as nouns. 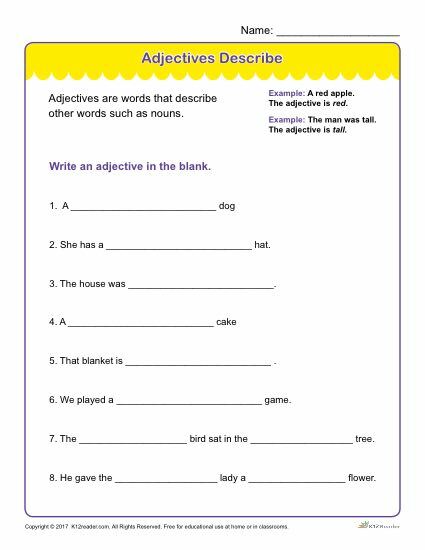 With this printable worksheet, students will read a series of sentences and fill in each blank with an adjective of their choosing. This activity is great for practicing the different parts of speech! Ideal for 1st – 3rd grade, but can be used where appropriate.